Video conferencing vendors are focusing on making it easier for users to join meetings. A virtual meeting room can make scheduling and joining meetings easier by offering an always-available meeting space for scheduled and ad hoc meetings. 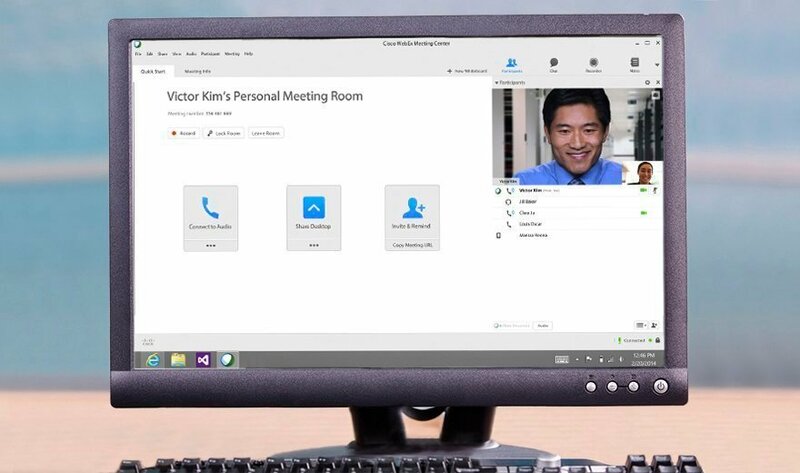 Last year, Cisco introduced personal virtual meeting rooms to WebEx, which gives meeting hosts their own room with a unique URL, said Melody Kee, senior group products marketing manager at Cisco. "You don't have to remember codes for each meeting; you can type the vanity URL and click to join," Kee said. Meeting hosts can lock the room if a call involves confidential or sensitive information or if the meeting runs over its scheduled time. Users who are waiting to join a meeting are sent to a waiting room, and the host can admit users on an individual basis or all at once, she said. Cisco has also launched Collaboration Meeting Rooms Cloud, which couples WebEx's virtual meeting room with a cloud-based video bridging service. The service allows up to 1,025 concurrent users to join a meeting from any standards-based device, said Ellie Ruano, senior marketing manager for WebEx. "It enables participants to have a common experience across different video devices," she said. How would you use personal virtual meeting rooms? One way that I’ve seen them used is to conduct interviews with potential candidates for open positions. The personalized URL helps to make the interviewee a bit more relaxed, and the entire interview a little less anonymous. I’ve also seen vendors use them for providing demos of their products to make the potential customer more at ease, and help develop that sense of commitment and relationship. For me personally, this would be hugely helpful to the pair programming and pair testing experience, as there's a lot of verbal cues that are missed when just looking at a screen session or chat session. Many "A-ha" moments happen during those brief moments of interaction, and having a video face to face would be the next best thing to being there. Making it all work with a regular URL that can be saved and associated with a specific person makes it that much nicer :).